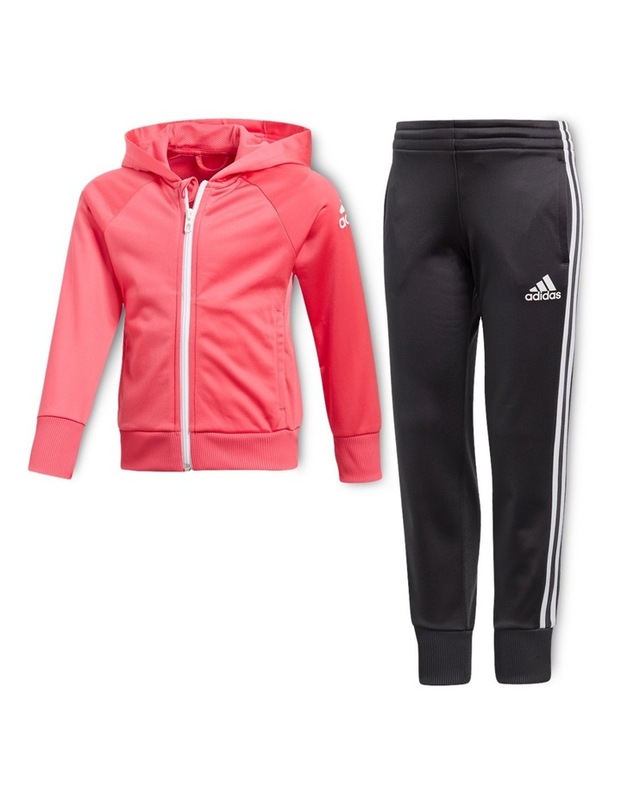 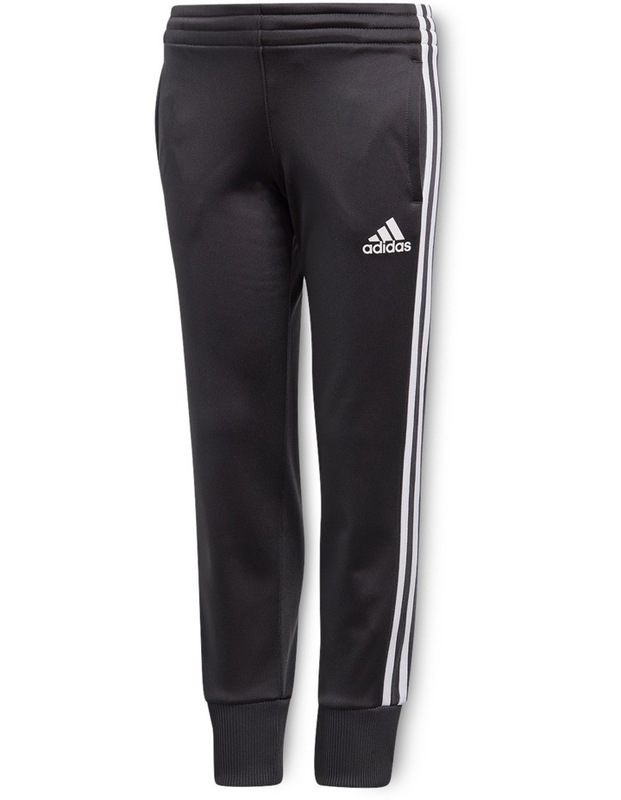 This girls' track suit will be her training go-to and weekend favourite. 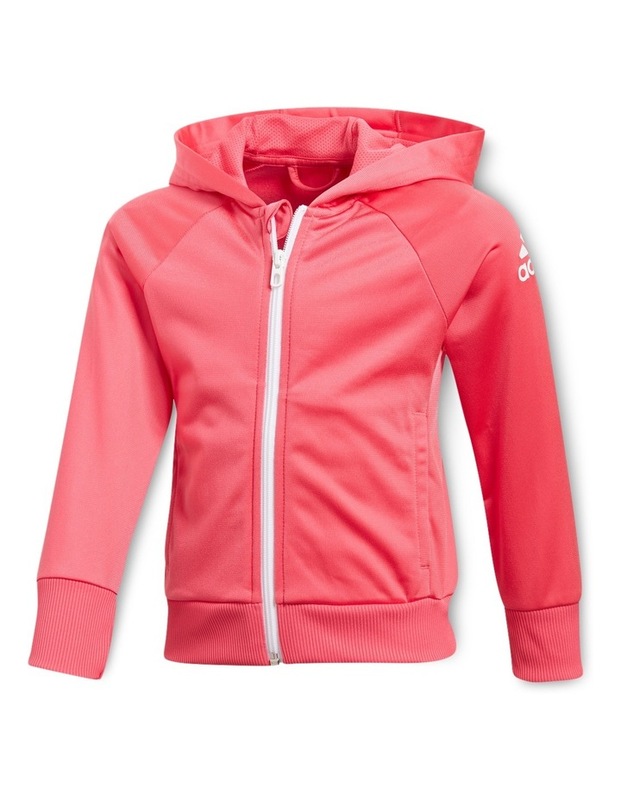 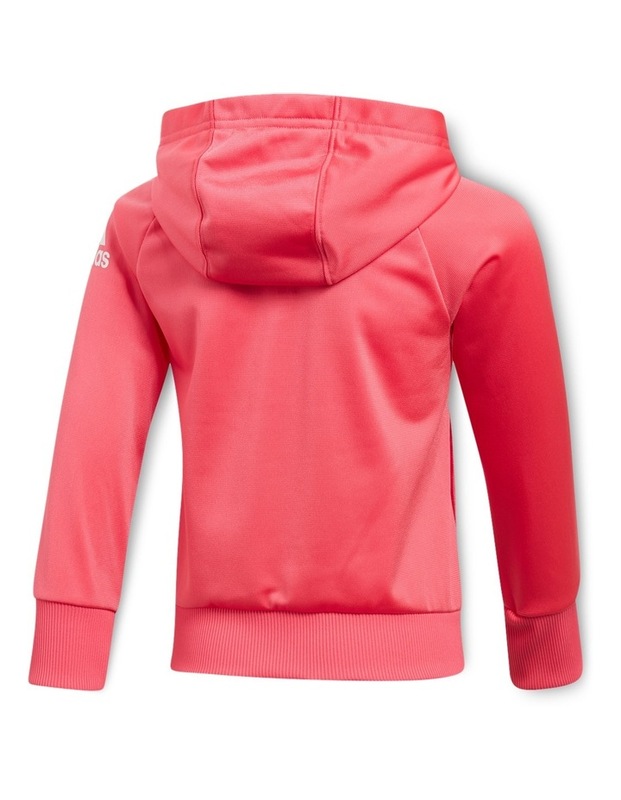 Made of soft and comfy polyester tricot, the full-zip jacket's hood and ribbed cuffs and hem keep out the wind. 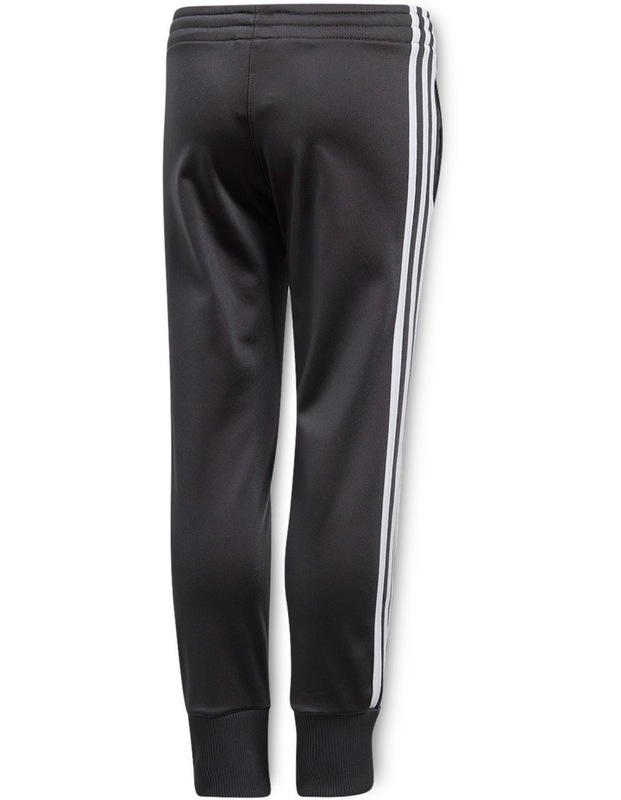 A drawcord elastic waist adjusts for fit, and 3-Stripes on the legs finish the look.